I am a sucker for movies. I do not write reviews, mainly because it is hard for me to criticize something that entertain me for a couple of hours. Now that Christmas season is drawing near my wife and I have drug out all of our Christmas DVDs and we are going to watch them between now and Christmas. 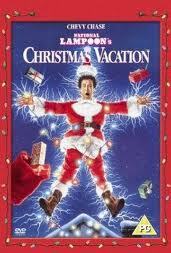 The First one we watch, while decorating the house, is National Lampoons Christmas Vacation. The Griswold Fun Family Christmas. The antics of the family always make me laugh. Considering this movie was released in 1989, 23 years ago, family gatherings still happen this way. You love your parents and they support you with everything you do, your spouses family is condescending towards everything you do. Sunshine and I laugh out loud when the lights finally come on, and when the dog, affectionally known as "snot" sees the squirrel. Although the true meaning of Christmas is missed in this movie, the spirit of family is presented. We will be watching more and at the end of the season, I will have to give a list. If you have any recommendations let me know. Maybe it can be added to the schedule.